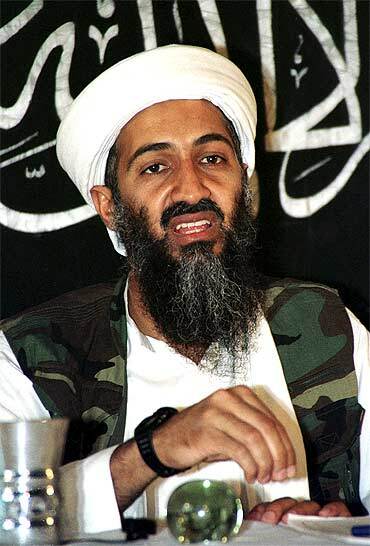 Rediff.com » News » Was taking out Osama a US-Pak operation? Was taking out Osama a US-Pak operation? 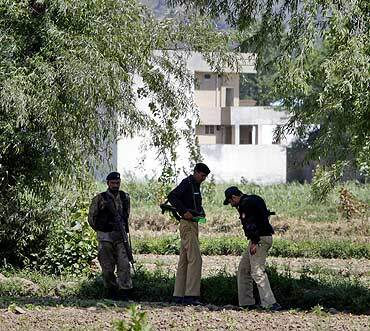 Security Expert B Raman wonders whether the operation in Abbotabad, which finally killed Osama Bin Laden was an exclusive United States operation or in collaboration with Pakistan. Was the operation that was carried out by the US Special Forces against Osama bin Laden resulting in his death at Abbotabad in Pakistan on May 1 an exclusive United States operation or was it a joint US-Pakistan operation? Till now the indications are that it was an exclusive US operation. Since it involved the ingress of the US Special Forces into Pakistani territory by air in helicopters, it was likely that General Ashfaq Pervez Kayani, Pakistan's Chief of the Army Staff, was informed before the helicopters with the Special Forces took off from Afghanistan for the raid. US officials have reportedly been asserting that Pakistan was informed only after the helicopters had taken off at the end of the operation. When the Bill Clinton administration launched the Cruise missile strikes on Al Qaeda training camps in the Jalalabad area of Afghanistan in 1998, they followed a similar procedure. General Anthony Zinni, the then Commanding Officer of the US Central Command, flew to Islamabad from a US naval ship and informed General Jehangir Karamat, the then COAS, about the impending raid. The US did so to make sure that Pakistan did not interpret that the missile had been launched by India and order a missile strike against India. A similar precaution was likely to have been taken this time too. Moreover, Abbotabad, an important military garrison town, has high air defence cover. It was important to prevent a messy air defence action by Pakistan against the US helicopters if its radars had detected their approach. The entire operation lasted a little over two hours. Durung this period, one of the helicopters crashed. It was blown up and destroyed by the Special Forces. A newsletter disseminated by a retired US naval officer says, "Sources says that the actual crash sight was on Kakul Road, Abbottabod, just down from the Pakistan Military Academy exercise grounds. See image for road, which was reportedly blocked off by local security after the incident. Folks in the city mentioned on Twitter at the time that the action was very, very close to the PMA," it said. This would indicate that during the entire operation on the ground, which lasted over 90 minutes if one excludes the time taken by the choppers for their to and fro journey, the Pakistani security forces did not intervene and try to find out what was going on. The local police blocked the stretch of the road where the helicopter had crashed to prevent onlookers rushing there till the Americans had destroyed the chopper. All this clearly shows that the Pakistanis must have had advance knowledge of the operation and had instructions from above not to intervene. Has the US undertaken similar operations deep inside Pakistan before? Yes, thrice. Twice in 2002 in Faislabad and Karachi to capture Abu Zubaida and Ramzi Binalshibh respectively, and once in 2003 in Rawalpindi to capture Khalid Sheikh Mohammad. How did those operations differ from the latest operation to kill Osama? The three previous operations were joint US-Pakistan operations with the Inter-Service Intelligence playing the leadership role. The raids were organised on the basis of technical intelligence collected by the US agencies due to the careless use of mobile telephones by the three arrested persons. 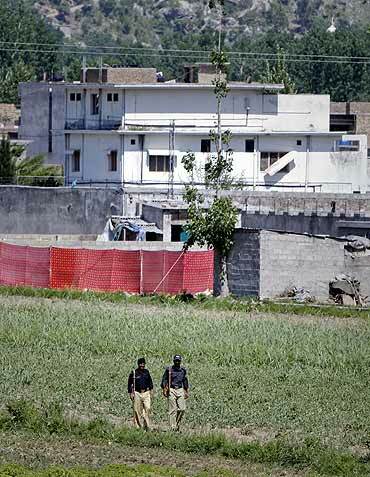 The latest operation seems to have been an exclusive US operation with Pakistan's prior knowledge, but with no Pakistani role in its planning and execution. Since Osama was not using any communication equipment such as a mobile, Internet etc in his hide-out, no technical intelligence would have been possible. It seems to have been mounted purely on the basis of Human Intelligence. The success of the operation speaks very highly of the improvement in the HUMINT capability of the US agencies. From where could have the HUMINT come? Abbotabad is a Hazara town. The Hazaras are strongly against Al Qaeda and the Afghan Taliban because of the massacre of the Hazaras, many of whom are Shias, in East Afghanistan when the Taliban was in power in Kabul. It is likely that the local Hazara community might have played a role in assisting the US in its OBL hunt. In fact, it is surprising that OBL took shelter in that town despite the strong presence of the Hazaras there. No explanation for this has been forthcoming so far. Is it possible that the ISI might have played a role in the collection of the HUMINT? Difficult to answer this question. How come the huge mansion in which OBL was reportedly living did not attract suspicion as it was being constructed in 2005? Difficult to explain it unless the mansion had been constructed by a retired senior general of the Army as his farm house and then given on rent to OBL's family with or without the knowledge that it was OBL's family. For how long OBL must have been living in the mansion? According to US media reports, the house had been under watch by the US since August last year. Obama gave the order for the operation on April 29 on the receipt of precise information that OBL was inside the mansion. This would give rise to the possibility that Osama's family had been living in the mansion at least since last August, that OBL had been visiting them off and on, and that Obama gave the order for the operation after receiving information in the last week of April that OBL had come to visit his family. This is what happened in the case of Baitullah Mehsud, the Amir of the Tehrik-e-Taliban Pakistan who was killed in a Drone strike. His wife and children were living with her father. Baitullah was visiting them off and on. The Americans had reportedly managed to find out the details of Baitullah's car. One day, they received information that Baitullah's car was parked outside his in-laws' house. They directed a missile strike at it. Baitullah was among those killed. In the case of OBL, they did not make a missile strike. Instead, they sent a Special Forces team to kill OBL in a fire-fight. Was there an official Pakistani complicity in OBL's living in Abbotabad? The evidence till now is circumstantial and not direct. Why did OBL choose to live in Abbotabad despite the presence of a large number of Hazaras there? The only possible answer is because he felt confident his security would be assured there. He could have got this confidence only if had the support of some sections of the local security agencies and/or the police and also of some local elements of the non-Hazara segment of the population. This is more speculative than of any evidentiary value. The direct evidence could come from the interrogation of those arrested alive from the mansion by the US Special Forces. What impact this will have on US relations with Pakistan? The US already has considerable suspicion that Pakistan has been playing a double game by dragging its feet on the issue of action against Al Qaeda. This suspicion will now be further strengthened. The smoking gun in the form of OBL's dead body has clearly established that OBL was living in an urban town of Pakistan. Was he living there with the knowledge or collusion of the Pakistani security agencies? There is no smoking gun on this yet. Unless that becomes available, the US would find it difficult to act against Pakistan. The relations will continue as before with ups and downs and with alternating praise for action taken and reprimands for actions not taken. Will the death of OBL be the end of Al Qaeda? No. 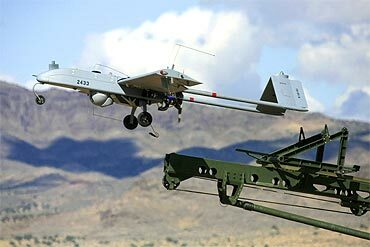 Since 9/11, Al Qaeda is already a weakened organisation because of repeated Drone strikes on its hide-outs and capture of some of its leaders on the ground in Pakistan. This process of weakening that has been there since 2002, could acquire pace and strength as a result of the death of OBL. Despite this, Al Qaeda, by itself, will remain a potent force for some years to come until it suffers more attrition. Will it have any impact on Obama's plans to start thinning out troops from Afghanistan? Will it enable or tempt Obama to accelerate the process? No. Obama's decisions relating to Afghanistan will depend on the evolution of the ground situation in Afghanistan and on the proved ability of the Afghan National Army to withstand pressure from the Taliban. What are the dangers of reprisal attacks by Al Qaeda and its affiliates? High in the Afghanistan-Pakistan region. The Tehrik-e-Taliban Pakistan and Al Qaeda affiliates like the Lashksar-e-Jhangvi and the Jaish-e-Mohammad will presume that the Pakistani security forces must have co-operated with the US. Acts of suicide terrorism against the Pakistani security forces and US nationals and interests in Pakistan could increase. High against US nationals and interests in other countries. Medium to low in the US homeland. ( 2-5-11).